During a recent recruitment discussion on #NZLEAD I brought up the concept that not only could most of the recruitment process be automated but there was a body of evidence that was proving this methodology was now successfully competing with traditional (human) practices. What quickly became apparent was that the HR and recruitment crowd partaking in the conversation were very uncomfortable with the idea of any sort of replacement but especially by robots. A follow-up review of the #NZLEAD Recap Recruitment Processes ignored any discussion on automated process and concentrated on human inputs only. It’s not just the recruitment process that is susceptible to an augmentation and automation overhaul. Many components of the Human Resources role could and can be downsized via augmentation or replaced by automation. It might even be argued that after automating most of the payroll function away in the 1980’s that HR itself has reached its next ‘peak job’ phase as its functions get outsourced or further automated. So here is my ‘Good Read Guide’ on the subject of HR automation in recent times. Got one you think I have missed? Shoot me a comment with a link as I’d love to include more HR automation stories. I thought I would get kicked off with an article that sums up the topic without realms of detail and given that it’s written by the Cynical Girl it’s also a very punchy start to my reading guide. Laurie suggests that the methodology of recruitment is little better than an “unsophisticated psychic trick”: and “that technology can solve for bias and discrimination in the hiring process”. 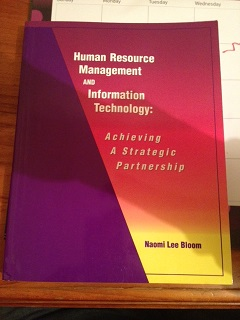 I reached out via Twitter to Naomi Bloom, given that she has spanned the entire modern HR journey between old and new (the picture is a copy of her 1992 opus on the subject which she kindly sent me). She suggested the above recent analytics article as a primer. It’s worth a read given that analytics is a key augmentation step and who does robots better than NASA! Here is a resume service provider using eye tracking technology to highlight where recruiters spend their “four to five minutes per resume”. Don’t think resume writing or reviewing can be automated…. Think about it as a series of transactions and then ask yourself, can each of these transactions become automated? On the subject of recruitment Carol Howard suggested this piece by Fiona Smith on using data and analytics to take the guess work out of the hiring process. The case study utilised is Sears Holdings Corporation which put all of its applicant data against its employee data and found that their “best employees did not come from their previous talent pool”. If robots aren’t in the process of taking over the job of recruiters, big data is certainly going to assist in the downsizing of that role. The criticism of this potential HR future was summed up nicely by David Gordon, a recruiter, who replied to my original tweet/link with “@gmggranger it is a good read – still not fit for purpose for recruitment (yet?! 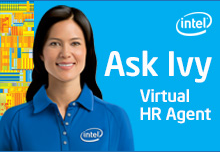 ), Ivy answers factual questions, recruitment is subjective”. Human Resources are being asked to assist in the transition of human workforces to augmented or automated workplaces. From automated trucks in the mines, DIY checkouts at the supermarket or robotics augmenting people on the factory floor every industry is under increasing competitive pressure. Yet HR itself seems totally against a conversation about HR automation. I get it. You’re a knowledge worker and the things that you do for the organisation are just too complex to be replaced by SkyNet. The kind of hollowing out of HR, last seen when payroll was automated from the 1980’s is already starting to impact on the HR function and recruitment seems to be the current automation focal point. Better start getting involved in the conversation people! It’s going to happen with or without you. Acknowledgements: In an effort to shine some light on this subject I started tweeting HR automation stories from various writers. My twitter-sphere colleague Michael Carty of XpertHR suggested it might be good to compile these into a single resource. Great idea Michael and I hope you like the post! Special Note: For those who have not read any of my previous articles on peak jobs and need a little background. ‘Peak Jobs’ is the idea that technology is replacing jobs faster than it’s creating them. For those more technically inclined it can also be attributed to the finalisation of the increased growth in average output (and income) per labour unit due to technological change since the 1820’s as put forward by Robert Solow (1956) or the commencement of technological unemployment as put forward by John Maynard Keynes (in the 1930’s) without the opportunity to transition into new roles as productivity increases but global employment declines.